Mavericks is the first blended learning school in Egypt, using personalized learning through technology and stem methods. In addition to developing students intellectually, Mavericks believes in cultivating a child holistically by instilling values, skills, and characteristics that will allow them to become well-rounded individuals. Maverick's mission | To offer students blended-personalized learning in a healthy environment that attends to their developmental needs, leveraging technology and creating space for individuality. One of the most important issues facing Egypt’s development is lack of access to quality education. With approximately 75% of the population under the age of 30, Egypt is also one of the youngest countries in the world. Even if the country could keep up building enough schools to educate Egypt’s children, there wouldn’t be enough well-trained teachers to keep up with the demand. Let alone the historic focus on rote memorization and teaching to the test. Enter Seif and Alyaa’s initiative to introduce and scale blended learning in Egypt. In this model, teachers offline are trained to leverage online learning tools to teach using interactive methodologies. Although 9 out of 10 children of primary school age in Egypt now attend school; the quality of education has suffered, with most focusing on rote memorization and teaching to the national test. As a result Egypt ranked last in primary education quality among all countries in the world, according to the World Economic Forum’s 2013-14 Global Competitiveness Report. Seif and Alyaa had previously led Tahrir Academy, one of the region’s largest education technology platforms to democratize access to high quality content. In January 2016, Seif and Alyaa led the launch of the first K-12 blended learning school in Egypt, bringing their past experiences building one of the region’s largest education technology platforms to the classroom. 1. 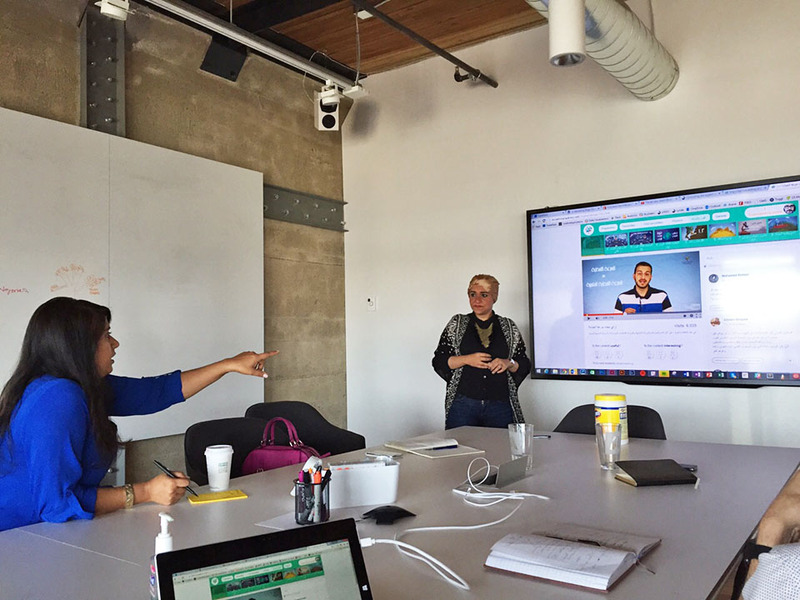 Attracted Artefact, a top design firm based in Seattle, to work with TA’s team on UI/UX of their learner’s platform. 2. Facilitated meetings with top experts in the field of blended learning, with global experts serving as long-term advisors. 3. Facilitated exposure at global conferences. 4. Organized global accelerators to leading blended learning schools in the U.S. to build a knowledge on global best practice and learn from the process of rolling out technology solutions in the classroom. "The RISE needs assessments proved to be really useful as each team receives a customized learning experience. The program design is fantastic.. and this has been a wonderful experience. " "The RISE fellowship program delivers high quality capacity-building, a strong team atmosphere, as well as inspiration and empowerment. "